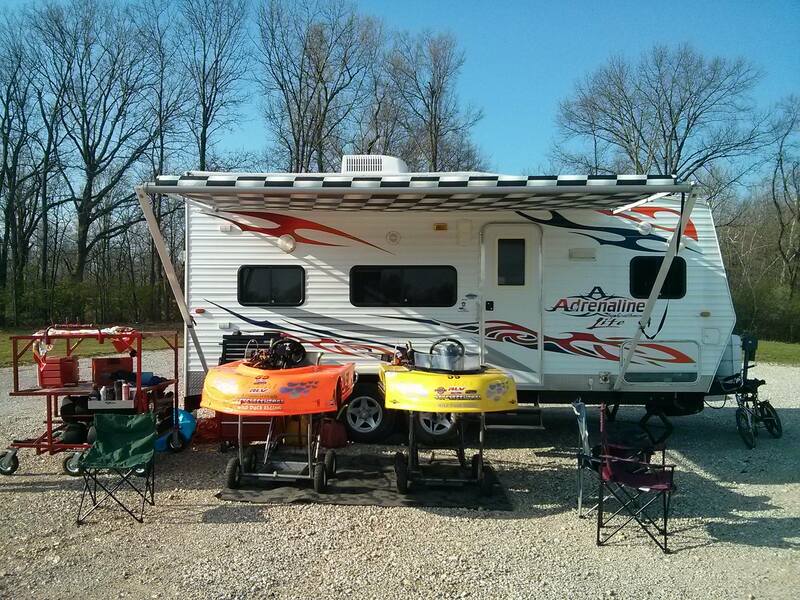 April brought no showers for the the first race of the Mid-American Sprint Series at Mid-State Kart club. We have only been to this track once, when we ran this series two years ago, and looked forward to racing on it again. To get the required practice and tuning in we left for Springfield on Thursday afternoon right after school. We were surprised to find the the track gates locked when we arrived. Our trailer is small and does not really allow storage of the karts and sleeping at the same time, making boon-docking with karts difficult. Thankfully, while we were struggling to figure out sleeping arrangements, the locals noticed us and let us in. We picked a nice spot with good access to the track, and did a little unpacking to make room for a good night sleep. Friday morning, we finished unpacking the karts and put the Animal on the track for a some “fun” practice and testing. You never know what you might learn. It seemed to perform much better than it did in the snow which allowed Jason to really drive it fast. After lunch we put the Animal away, since it would not be racing and got out the LO206 kart. Over the next 100 or so laps we started to figure out the setup sweet spots. This track is unusual for the sportsman class because we gear for power to exit corners instead of gearing for top speed. The green slide restricts the engine’s power enough getting through the corners quickly and hitting max rpm in the straight is impossible. This means we had to really pay attention to lap times and gearing to find the right balance. In the near future we are going to need this skill to set up the animal motor which does not have a rev limiter so we need to hunt for the max speed and power balance. The kart count for the sportsman class was low, so Jason practiced and raced with the LO206 Junior class (older drivers and more horsepower). 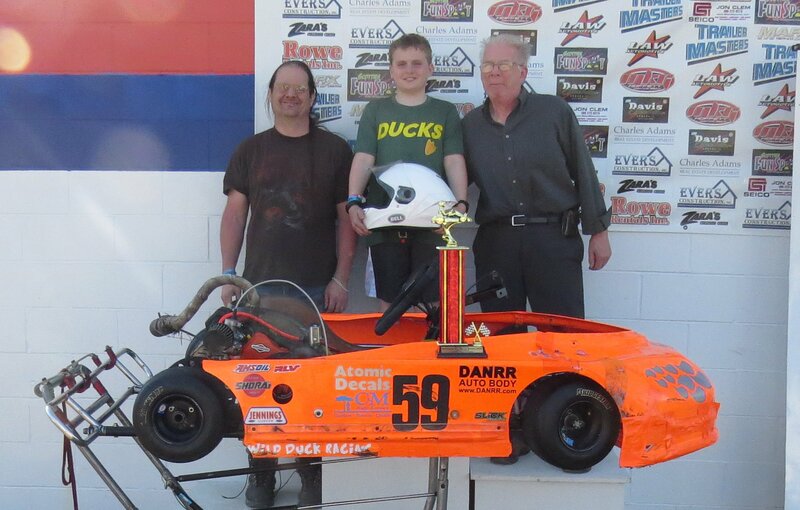 Jason took to the track and demonstrated how far he as come since he was last at Mid-State; first by racing around and past Junior drivers and then by showing he could run with the top sportsman drivers with consistent low 37 second laps. Jason’s fastest clean air lap was 37.174. 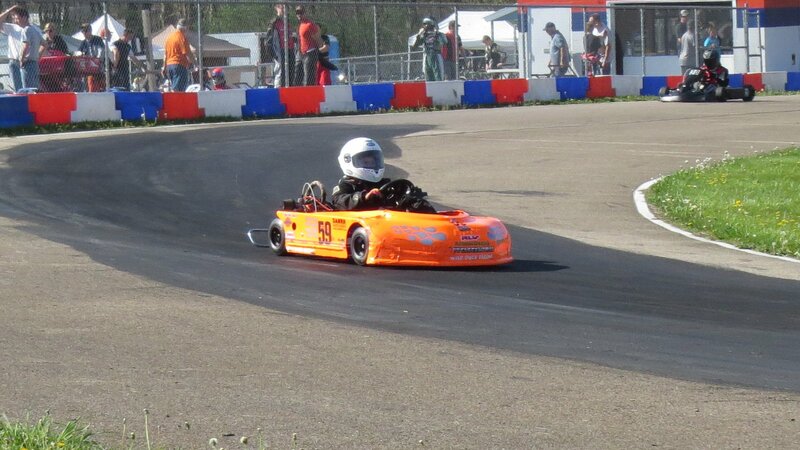 He even managed to have a lap 36.9 second lap by drafting(just like NASCAR) a Junior kart. At the end of the weekend Jason finished first in his class and fourth over all in both the Saturday and Sunday races. 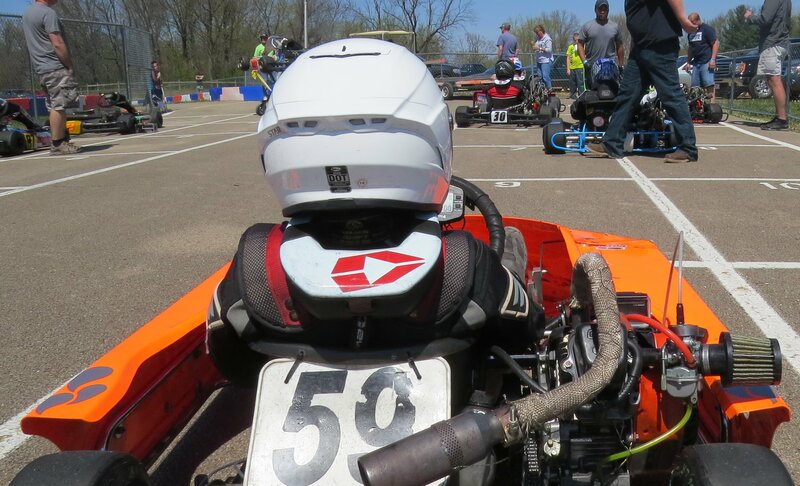 New Camera Location, helmet cams bannedWe will be returning to the track of Jason’s first road race on May 7th and 8th (yes, Mother’s Day weekend) at Gateway Motorsports Park in Madison, IL near St Louis, MO with the Championship Enduro Series. This first road race of the season and the first time racing Animal Junior kart on a road track. Thanks to my Dad for hanging out with us this weekend. Karen for putting up with our loud re-entry into the house after an exciting race weekend. Thanks to Bell Helmets for joining the team and helping us with a new helmet. We love the fit and form of the Star helmet. Its a great helmet for karting with its heads up design and ample ventilation for those hot days at the track.